The title of this post should really be AWESOME! 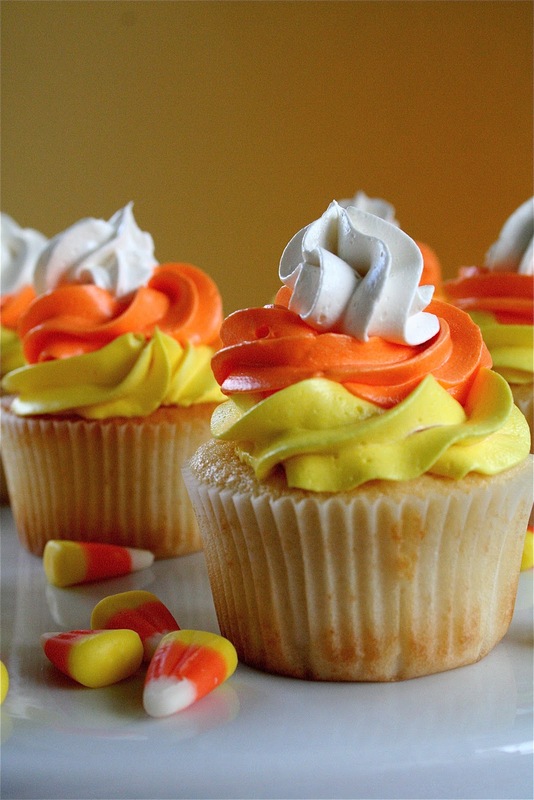 Candy corn cupcakes! Because that is what my almost four year old shouted when she saw them. We have been looking for Halloween cupcake ideas to take to school on her birthday and I think we have at least narrowed it down to awesome candy corn cupcakes. 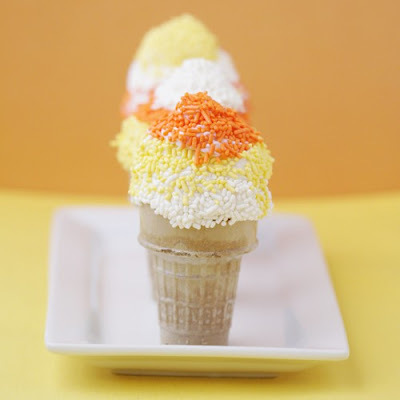 On the short list are these candy corn ice cream cone cupcakes from Love From The Oven. The kid would love all of the frosting on these candy corn frosted cupcakes from The Curvy Carrot. and on these candy corn colored cupcakes from Amanda's Domestic Adventures. 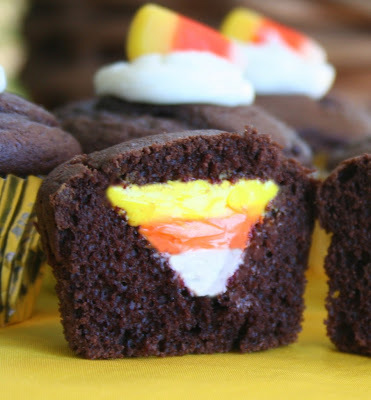 But the kids might revolt before actually biting into these candy corn filled cupcakes. 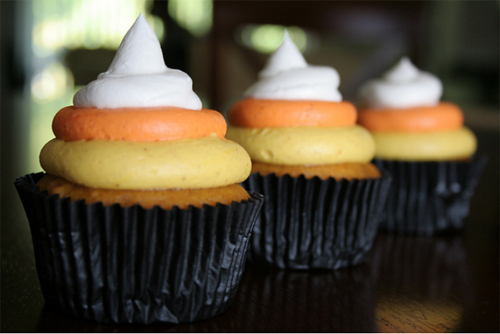 I my give candy corn hi hat cupcakes a shot, since I only have to make 8 of them. Of course, they would probably be just as happy with candy corn nonpareils. They are cute and about as easy as cupcake decorating gets!